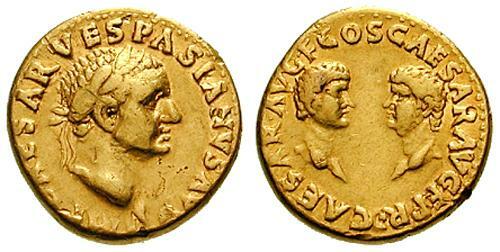 Aureus, struck 69-70 AD in Rome. Rev. 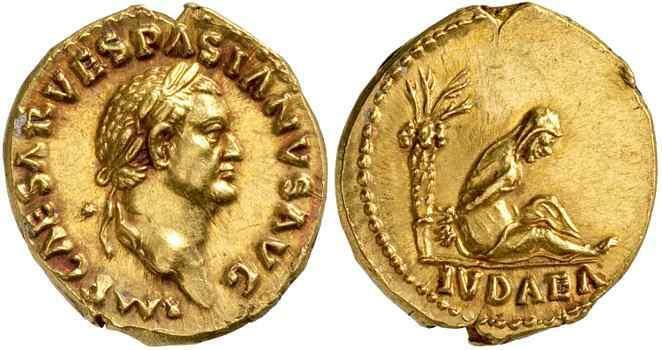 : IVDAEA (ex. 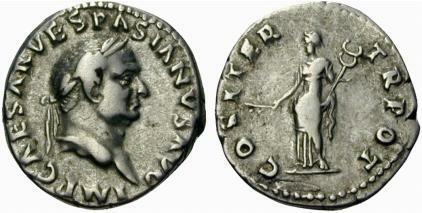 ), Judaea seated r., head resting on hand, to r. of trophy. 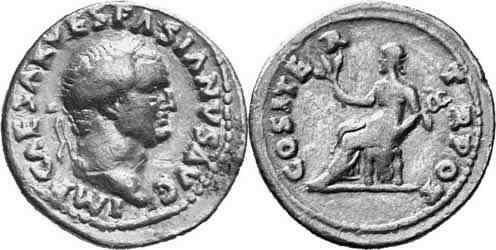 Denarius, struck 69-70 AD in Rome. Rev. 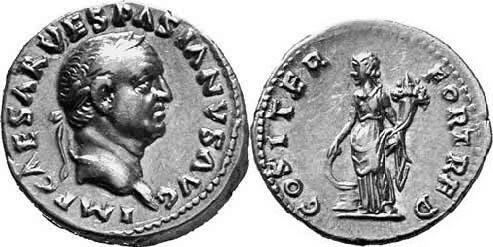 : TITVS ET DOMITIAN CAES PRIN IV, Titus and Domitianus riding r., r. hands outstreched. Rev. 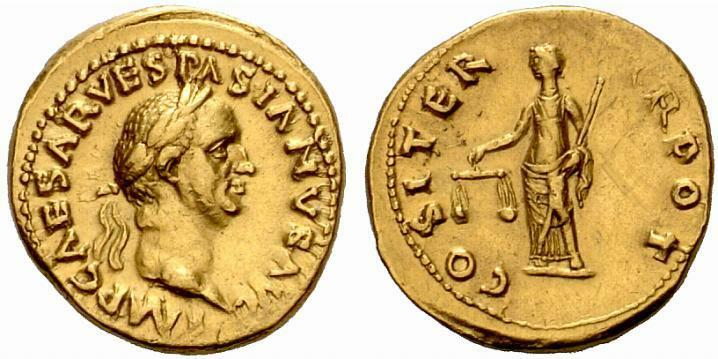 : TITVS ET DOMITIAN CAES PRIN IV, Titus and Domitianus seated l. on curule chair, each with branch in raised r. hand. 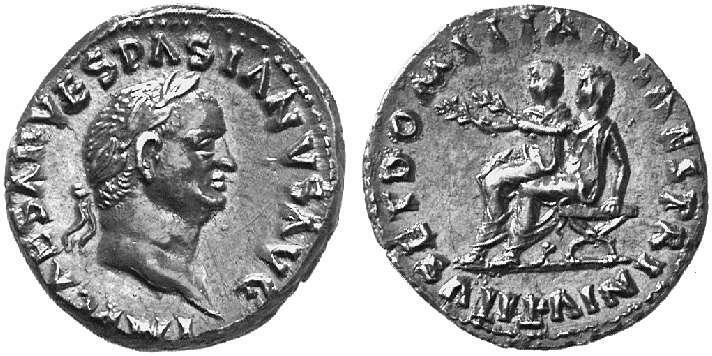 Denarius, struck 70 AD in Rome. Most of the recorded examples of this variety are listed as being fourrées, which this example is not. The new edition of RIC Volume II leaves the variety out completely. 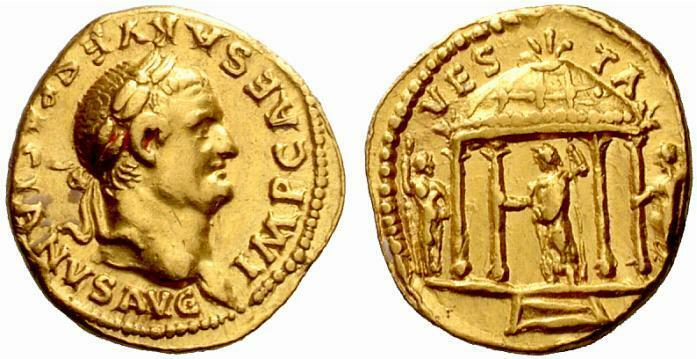 Aureus, struck 70 AD in Rome. Rev. 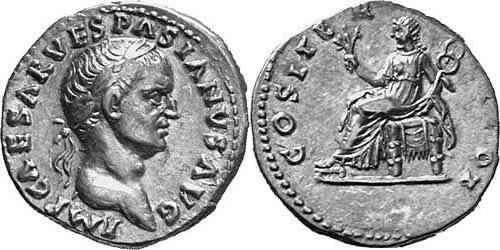 : CAESAR AVG F COS CAESAR AVG F PR, heads of Titus, bare, r., and Domitianus, bare, l., confronting. Rev. : COS ITER, Aequitas stg. l., r. holding scales, l. rod. Rev. : COS ITER FORT RED, Fortuna stg. l., r. hand on prow, l. holding cornucopiae. Rev. 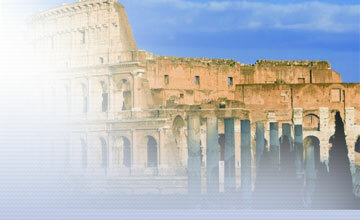 : COS ITER TR POT, Mars adv. r., r. holding spear, l. aquila over shoulder. Rev. 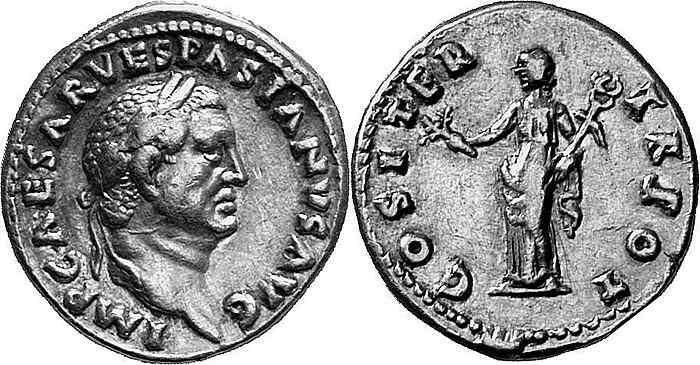 : COS ITER TR POT, Pax seated l., r. holding two corn-ears and poppy, l. caduceus. Rev. : OB CIVIS SERVATOS, oak-wreath.